When Christopher Hochstetler comes from Ohio to work at his uncle’s shop in Bird-in-Hand, Pennsylvania, he gets off on the wrong foot with Emily Fisher. But when he finally opens up to her about his tragic reasons for leaving home, her heart begins to change. When Christopher compliments an old quilt, Emily decides to make a similar quilt for Christopher as a gesture of friendship. Emily knows she must guard her heart, as Christopher is not a baptized member of the church, but she’s suddenly found someone with whom she can imagine sharing a future. 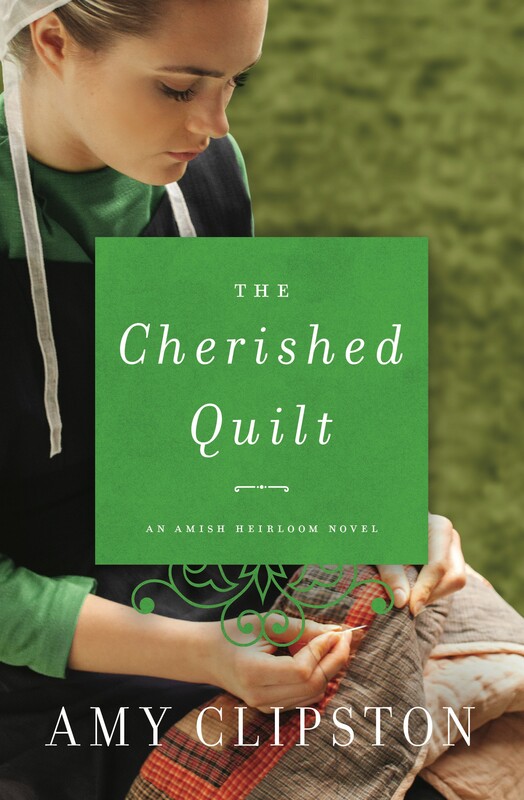 When a family emergency calls Christopher back home to Ohio, Emily decides to finish the quilt, in spite of her pain, and send it to him for Christmas. But when Christopher receives it, will he have the courage to truly follow his heart? Some books are easier to write than others, and this book pretty much wrote itself. The words flowed from my fingertips as soon as I figured out who the hero would be. Christopher Hochstetler came to life in my mind when I happened upon a photo of an actor (Griffin Freeman), who became my mental model for him. I hope readers enjoy reading this book as much I enjoyed creating it. I dedicated this book to my best friend, my mom, Lola Goebelbecker.